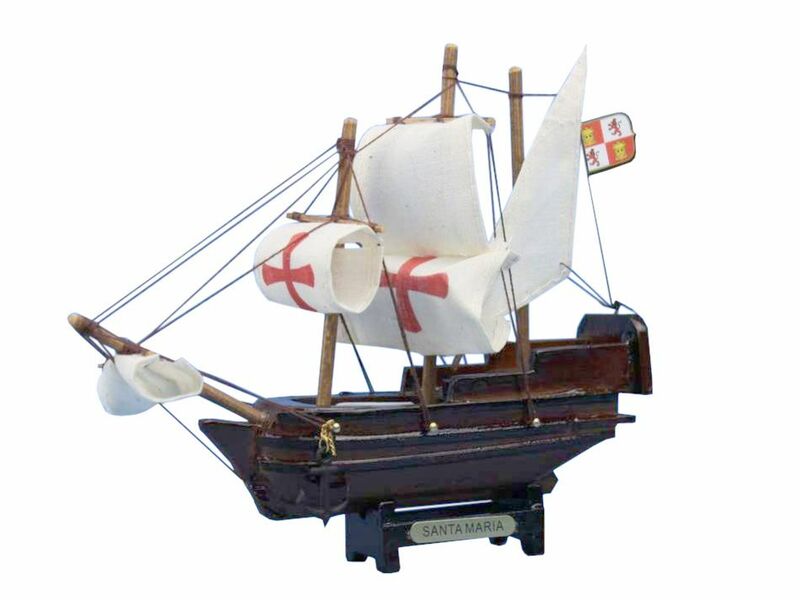 The largest of three ships sailed by Christopher Columbus on his first voyage, the fabulous Santa Maria is brought to life in a delightful 7" toy model. A perfect toy gift for any child or nautical enthusiast, this 100% wood model is intricately detailed to historic accuracy. A metal plate proudly displays her legendary name, and this miniature boat fits perfectly upon any desk or shelf, adding a touch of history and sophistication to any room it graces.